Hello and welcome to Marvelous Monday. I had a great week end. Saturday morning was stamp camp; lunch and shopping with a friend in the afternoon. Church on Sunday and turkey shopping in the afternoon. Tonight I visited my Glitz friends and left comments on their blogs. Thank you Jesus for a super week end. Todays card was fun to make. 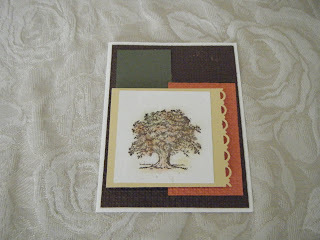 I love the Lattice embossing folder. It has such a cool texture! I also enjoyed the process of daubbing fall colors on the tree. I can't forget to give you the shopping list. So here it is. Don't be shy. Comments are appreciated. Thank you for stopping by. God bless. It does sound like you had a wonderful weekend Gloria. Pretty fall tree. Sounds like we both had a great weekend! I haven't used that set in ages, didn't toss it out in the recent purge either, LOL. It's a keeper! 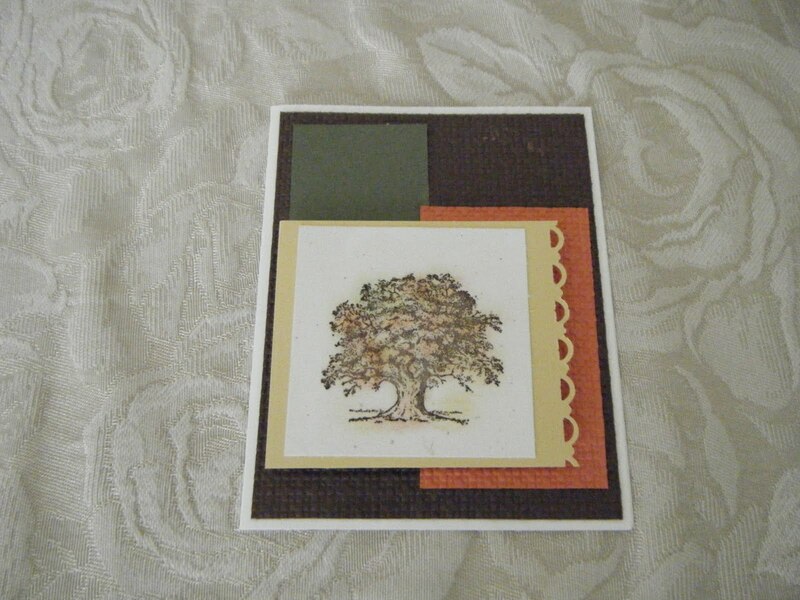 Wonderful fall card - I really like the different layout. Thanks for sharing, Gloria! Lovely card! Great image and textures!